▶ SoldThis listing was sold on Feb 15, 2018 for the price shown here. 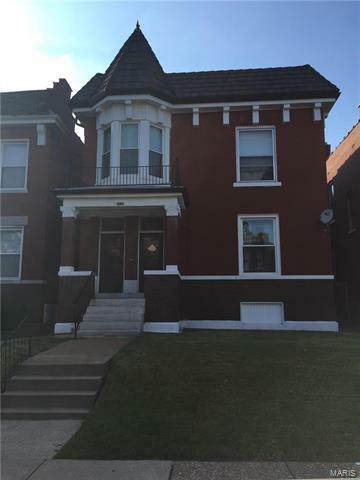 Outstanding spacious two family duplex located in the O'fallon Park Neighborhood. Each unit offers 2 or 3 bedrooms, hardwood floors, several pockets doors, spacious foyers, lots of closet space and storage. Large eat-in kitchens, both units have central air and very large family rooms. The property offers a walk out basement that leads to a neat backyard with an oversized garage. The property has been very well maintained with plumbing and electrical updates. The property has great curb appeal and is close to major highways, parks, and public transportation. Both units are currently vacant for buyers viewing. The property is to be sold "AS IS" seller to make no repairs or pay for any inspections. Great investment for a first-time homebuyer the property is in move-in condition. Elementary school: Ashland Elem. and Br. West Florissant to Fair Ave.